Kiera Butler. Raise: What 4-H Teaches 7 Million Kids & How its Lessons Could Change Food & Farming Forever. University of California Press, 2014. Although the program’s website says “4-H is the youth development program of our nation’s Cooperative Extension System & USDA,” you have to look hard to see how it relates to its farming origins. Butler follows several individual 4-H members, young teenagers, who are deeply engaged in raising and showing animals at county fairs. She follows their experiences for a year and observes their demonstrable growth in skills, confidence, and the handling of disappointment. These are the impressive accomplishments of this program. Read the rest of the review at Nestle’s blog. At exactly 11:55 a.m., 233 hungry sixth-graders burst into the cafeteria at San Francisco’s Roosevelt Middle School. Four kids run outside to a mobile cart, select turkey-and-cheese sandwiches, and head to a table next to a basketball court. Three boys grab barbecued-chicken salads from a pickup window. One of them makes a beeline for the couch in a cozy “chill out” area of the lunchroom. A few years ago, San Francisco public-school officials calculated that just 57 percent of students who qualified for free or reduced-price meals actually took advantage of them. Concerned, they tried ditching frozen entrées in favor of fresher meals—but the numbers barely improved. 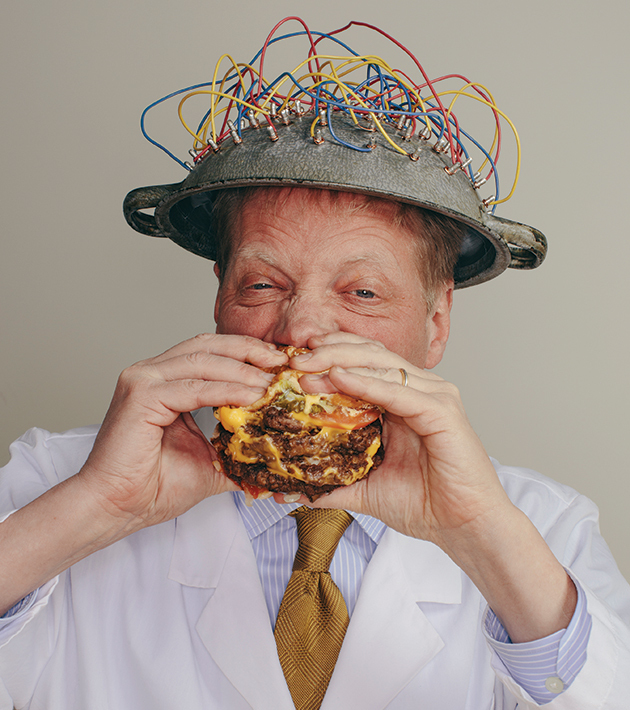 So in April 2013, with help from the Sara and Evan Williams Foundation, the district brought in the design firm Ideo, in hopes of figuring out how to get students more excited about eating at school. One sunny day in May a few years ago, two roommates and I drove out to a farm in the country to pick up a couple of three-week-old turkey poults. The farmer raised her eyebrows when we told her that we planned to keep them in our urban neighborhood in Berkeley, California. But we assured her that our turkeys would have a good life, and she relinquished the apple-size birds to us. They chirped plaintively throughout the entire hour and a half of our drive home. The farmer was probably right to worry. None of us had ever had any turkey experience, unless you counted the kind that appears on your plate at Thanksgiving. A lifelong city-dweller, I had never spent so much as an afternoon on a farm, let alone raised my own livestock. But that year, 2011, all of a sudden my friends and neighbors began to talk about farming and food. Michael Pollan’s influential book The Omnivore’s Dilemma had come out a few years earlier, and more recently, journalist and farmer Novella Carpenter had written her book Farm City about raising turkeys, goats, and even pigs in one of Oakland’s grittiest neighborhoods. Read the rest over at Buzzfeed. I’m also thrilled to announce that I’ll be performing a RAISE-related piece in Pop-Up Magazine, a live journalism event that will take place November 13 at Davies Hall in San Francisco and November 19 at the Ace Hotel in Los Angeles. The San Francisco show sold out in a flash, but LA tickets are still available. Angelenos, this is sure to be a fun night. Don’t miss it! “Raise” Is Available for Pre-Order on Amazon! 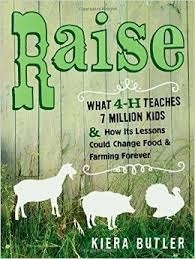 You can now pre-order a copy of Raise: What 4-H Teaches 7 Million Kids—and How Its Lessons Could Change Food and Farming Forever. About Raise: When city-dwelling journalist Kiera Butler visits a county fair for the first time, she is captivated by the white-uniformed members of 4-H club and their perfectly-groomed animals. She sets off on a search for a “real” 4-H’er, a hypothetical wholesome youth whom she imagines wearing cowboy boots and living on a ranch. Along the way, she meets five teenage 4-H’ers from diverse backgrounds and gets to know them as they prepare to compete at the fair. Butler’s on-the-ground account of the teens’ concerns with their goats, pigs, sheep, proms, and SAT scores is interwoven with a fascinating history of the century-old 4-H as it moves to rely increasingly on corporate donations from top agribusiness firms such as DuPont, Monsanto, and Cargill. Her quest takes her from California’s cities and suburbs all the way to Ghana, where she investigates 4-H’s unprecedented push to expand its programs in the developing world—and the corporate partnerships that are supporting this expansion. Raise masterfully combines vivid accounts from a little known subculture with a broader analysis of agriculture education today, using 4-H as a lens through which to view the changing landscape of farming in America and the rest of the world. Lively, deeply informed, and perceptive in its analysis, Raise provides answers to complex questions about our collective concern over the future of food.